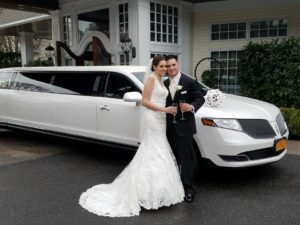 K & G Limousine, West Hempstead Limo Service, has been an award winning limousine transportation service in West Hempstead . We offers a selection of new model sedans, stretch limos, Luxury SUV Rentals, Van and Limo Buses in West Hempstead. Do you have an upcoming corporate Trip or event ? K & G Limousine offers professional and spacious SUV Airport Transportation to the All major Airports John F. Kennedy (JFK), Newark Airport (EWR), LaGuardia Airport (LGA). We offer affordable party bus rentals, cheap limo rentals and limo service for West Hempstead areas. Best West Hempstead Party Bus Rentals with the best rates for bachelor and bachelorette parties. Looking for a limo Party bus in West Hempstead? You can visit our friends at K & G Limousine for a party Bus in West Hempstead for large groups and events. New Work is busiest city which is Located in Island of Manhattan . if you are searching from Limo and town car services from New York city to West Hempstead or Limo services from West Hempstead to New York city . then K & G Limousine is best option to Travel in Manhattan . We provide Luxuries transportation services in Manhattan. Whether you’re flying out or returning home, K & G Limousine is the top airport limo in West Hempstead. On-demand chauffeurs, executive services with late model, well maintained Stretch limousines, Van, SUVs and luxury vehicles, and easy access help us make transportation hassle-free. Why drive to John F. Kennedy (JFK), Newark Airport (EWR), LaGuardia Airport (LGA).when a car service with K & G Limousine can get you there in style? Our airport limos are waiting! It doesn’t matter whether you need a limo to Airports or a car service to your hotel, K & G Limousine can get you there. Our West Hempstead car services can be used for everything from corporate transportation from the airport to a night out on the town in New York. Reserve a West Hempstead limo service today! Renting a luxurious prom limo service is the Best way to start and end your prom night by rolling up in style to your party with our prom limo selection. Stay safe and in style as you travel to and from your prom after parties! Our West Hempstead Prom Limo Service offers the latest in prom limousine models for your big night, including Party bus and Stretch Limousine. Our prom limo service is offered in New York and Long island and the surrounding cities. All chauffeurs are personable and professional, ensuring that you will have a wonderful and safe prom limo ride. Since prom limousine rentals in West Hempstead are in high demand during prom season, plan to book yours early. Two to three weeks before prom should give you enough time to make prom limo rental arrangements. West Hempstead prom limo rentals are much more affordable if reserved in advance. Choose us to be West Hempstead Wedding Limousine transportation, and you’ll be glad you did. A late model clean Limousine will arrive on time at your scheduled pick location by a uniformed professional chauffeur.